If you had to guess where the only light art museum in the world is located, you would probably think of a cosmopolitan city like New York and not the German Rühr district.  Situated in an old brewery in the industrial town of Unna, the Centre for International Light Art (CILA in short) showcases artworks from the world's most famous light artists and young artists in its storage cellars. The light art museum in Unna is home to the biggest collection of light art in the world and is characterised by tremendous diversity. Next to an extensive permanent collection, temporary exhibitions offer to relatively unknown artists a podium for their artworks. With the biannual ‘Light Award’ competition, the museum also stimulates and awards light art. The fifty-metre high chimney functions as a beacon, with a large light installation from Italian artist Mario Merz that runs all the way from the bottom to the top drawing your attention from far away. Merz made a row of Fibionacci numbers from blue neon light, based on his own handwriting. The mathematical sequence of numbers, where every next one is the sum of the preceding two, lights up after sundown. In the cellars of the brewery, visitors find 2600 square meters of underground exhibition space. The permanent collection consists of seventeen light artists, including Merz. Danish artist Olafur Eliasson installed ‘The Reflecting Corridor’, an impressive waterfall of lights that runs alongside both sides of a small walking bridge. 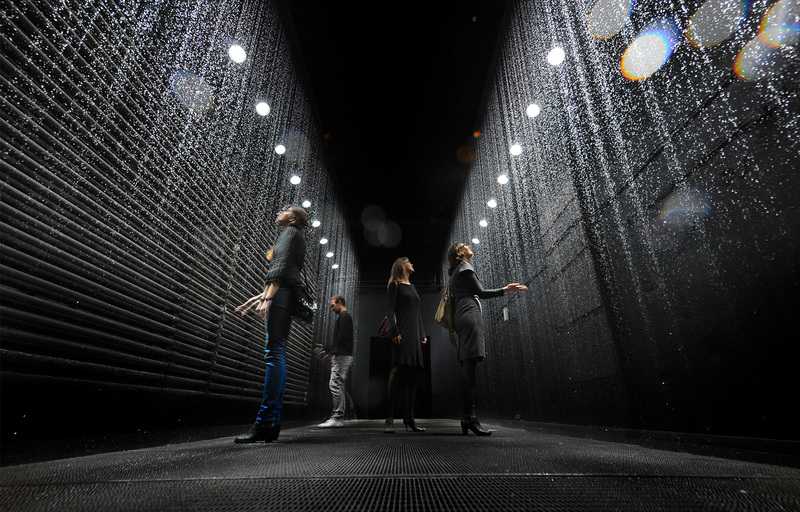 Visitors are surrounded by thousands of drizzling droplets of light that are accompanied by the sound of dripping water. Sounds like a peaceful experience, if it was not for a giant white flickering searchlight that blasts through the room like a proper thunderstorm. Another impressive artwork that makes use of both light and sound is an installation by Christina Kubisch. 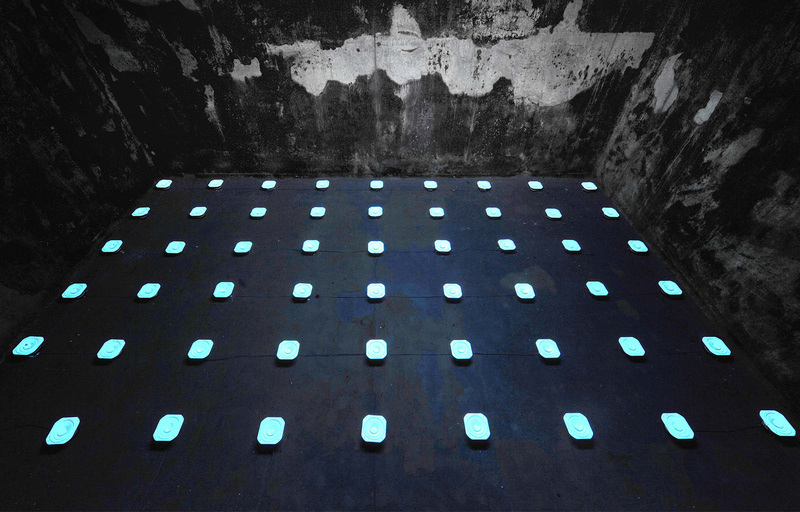 The German artist filled the floor of four fermentation vats with a geometrical pattern of white squared speakers that fill the room with several distinct sounds that are said to provide various associations to nature. 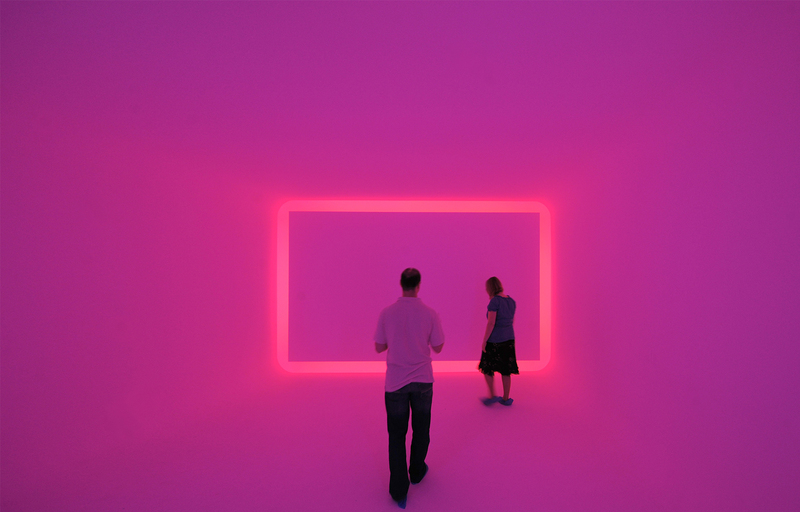 A light museum wouldn’t be complete without the works of American lighting god, James Turrell, who was very much charmed by the old brewery. Next to the surreal ‘Floater 99’ (2001), he built a custom-made camera obscura for the museum in 2009. 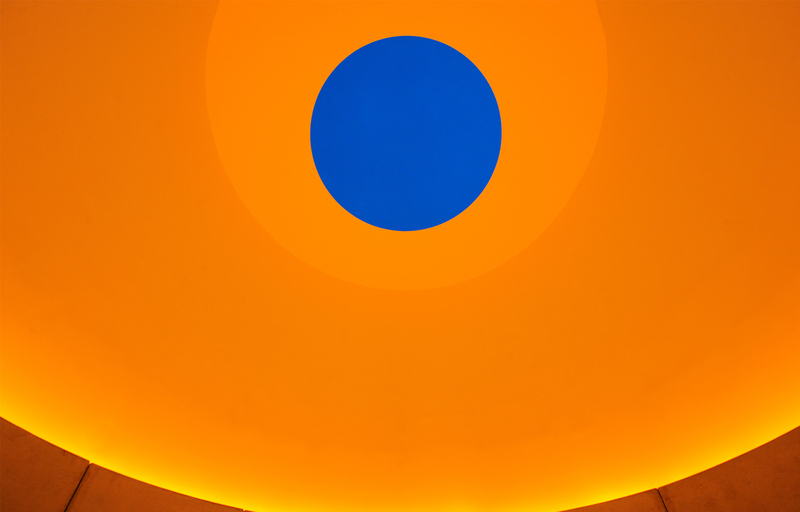 In the bottom cubic room, the visitor will see the sky reflected on the floor, while in the top cylindrical room, the sky can be directly viewed through a hole in the ceiling. This year Germany’s very last coal mine will be closed, bringing an end to over 150 years of coal mining industry. Seventeen art museums in the Rühr area will honour the district’s history of coal mining. The light museum does so too with the temporary exhibition ‘Down Here - Up There’. ‘My mountain’, the artwork by Dutch light artist Diana Ramaekers, is part of this exhibition. 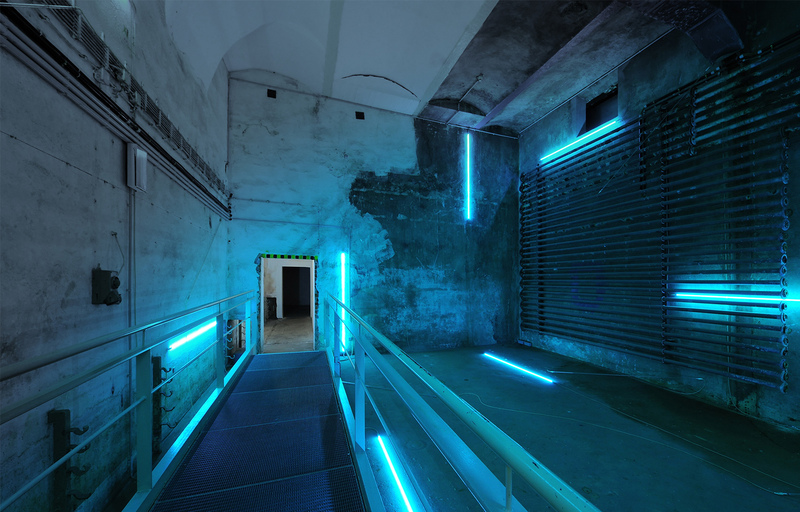 Ramaekers, an heir to a Dutch coal mine herself, initially made the bright neon light installation to honour the closure of the last coal mine in her home province. The artwork is a monument for all mine workers. "The red-glowing installation symbolises the energy of the people with whom the coal was brought over the earth to warm the people of that time,” Ramaekers explains. In the 19th century, after coal mines were established and revolution followed, Unna expanded rapidly. It was in Unna that Germany’s largest mining accident took place, in 1946. Nowadays the city still drives mainly on heavy industry. “It’s too bad that we apparently are ashamed of our mining past in the Netherlands. In Germany and Belgium I see much more respect and pride”, says Ramaekers. The second artwork, ‘Breathing Cloud’, is made by a second Dutch artist called Dorette Sturm. A gigantic purple cloud made out of spinnaker cloth slowly moves up and down accompanied by the sound of heavy breathing. The cloud is reminiscent of the sky that would fill up with coal during the mining process. Sturm previously exhibited the artwork in Amsterdam, Eindhoven and Beijing. 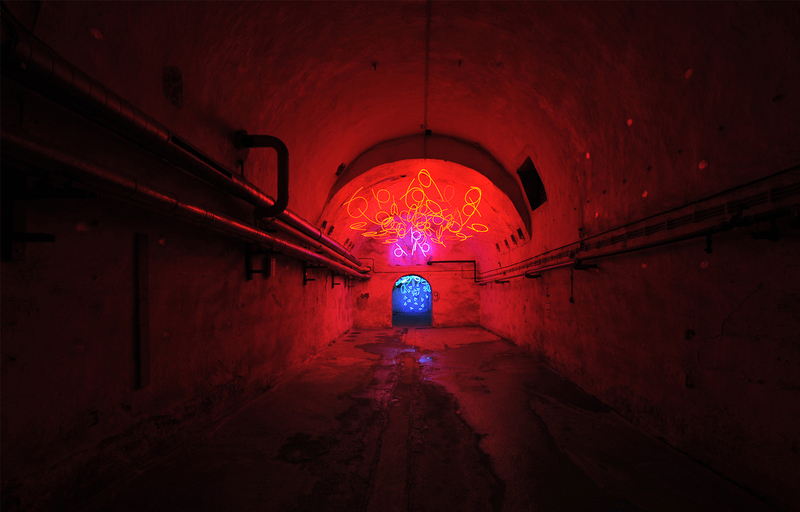 In 2015 the very first International Light Art Award was awarded. The prize is meant to support upcoming lighting designers and is handed out once every two years. The goal of the competition is primarily to show how young artists embrace new technological innovations in their work as well as to show how light art itself evolves over time, says museum director John Jaspers. In the most recent edition, three finalists competed for the prestigious prize. Ultimately, it was light installation ‘Point of contact for Unna’ from Satoru Tamura that was honoured with the award. The Japanese light artist made a giant electric switch that fuels a bundle of light bulbs with the idea of creating a pure, self-reflecting work without any further meaning. “The underground spaces in the museum are very powerful, and therefore the artwork has to be powerful too”, the artist explains. Apply your concept for the 2019th edition of the Light Art Award! Concepts for the 2019 edition of the Light Art Award can be handed in until September 16th. Click here for more information.  The Centre for International Light Art in Unna offers 90-minute tours from Tuesday to Sunday. It’s possible to walk around the museum without a tour guide on every month’s first Sunday afternoon. A ticket costs between 8 and 13 euros.